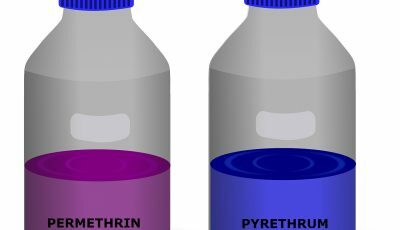 DEET or diethyltoluamide (N,N-Diethyl-meta-toluamide) in its official chemical name is the most popular active ingredient used in many insect repellent products, and for now also the most effective one. DEET is used for repelling not only mosquitoes, but also other pests that carry diseases such as ticks. DEET has got an oil consistency with a yellowish color. The history of DEET actually goes more than 50 years back and it was developed by the U.S. Army in 1946 and was used during the World War II by U.S. Army in areas with high mosquito activity such as jungles, where was a higher chance to get infected with mosquito-borne diseases. Today DEET is used in many commercial insect repellent products as an active ingredient in combination with other substances and are available to purchase for all people. Some research says that DEET is used by over 30 percent of Americans each year to protect themselves from insect and pest problems, which is a significant number and shows how large actually the mosquito problem is in the USA. DEET should be applied directly on skin or clothing. How DEET works is that is doesn’t kill mosquitoes, but just repels them for certain amount of time. 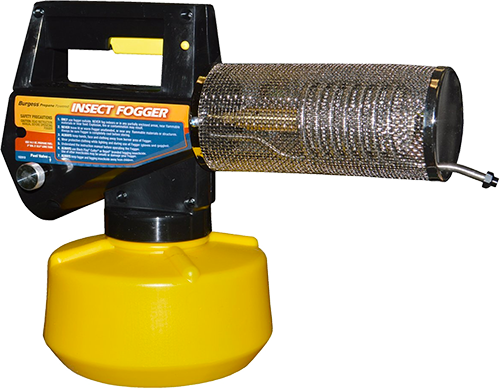 For insect killing you must use a mosquito fogger with a special insecticide formula. DEET makes us invisible to mosquitoes, by blocking signals mosquitoes can detect from our body such as heat, moisture and carbon dioxide. The interesting part about DEET is that there are no certain evidence of how DEET works and why mosquitoes aren’t able to detect humans when DEET is applied to the skin, but the most believable explanation is that DEET simply blocks our body scent to mosquitoes. For now, DEET is the most effective active ingredient for insect repellents and there are no other substances that can hide us so well from mosquitoes. DEET in mosquito repellent products can be found in concentrations up to 100%. The higher concentration of DEET a mosquito repellent contains, the longer time it is going to provide protection. For example, 100% DEET is going to provide protection up to 12 hours, while DEET with 20% concentration will provide protection for couple of hours. In comparison, more natural insect repellents that contain citronella oil, which is a natural mosquito repellent will provide just half an hour to hour long protection. 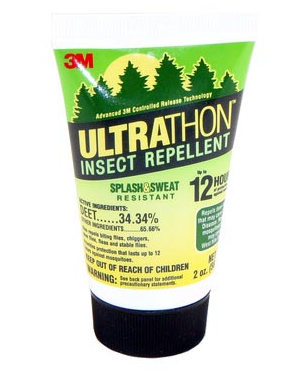 Most insect repellents contain DEET in concentration between 20 and 50 percent. The best way to find a suitable insect repellent for different outdoor activities is to know for how long time you are going to be outdoors, the longer you’ll need a protection against mosquitoes, the higher DEET concentration repellent you need to buy. After protection of repellent has been vanished you can reapply repellent again to the skin to renew the protection. 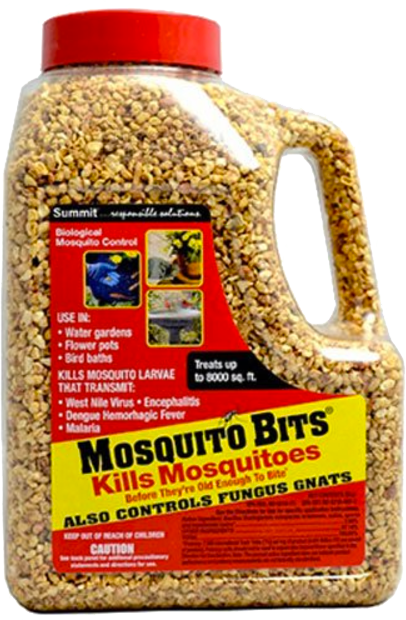 DEET is available in large variety of products that are used for mosquito repelling. 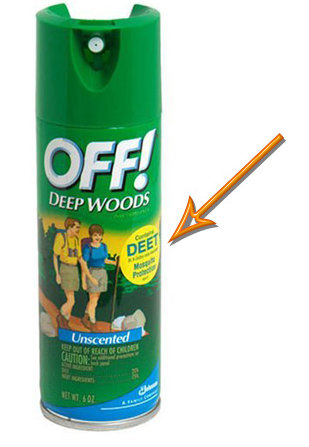 The most common insect repellent type that uses DEET as an active ingredient is aerosol spray. Insect sprays are the most easy to use, provides longer effect of protection against mosquitoes and they are also easy to take on the go. Aerosol spray can be used both on skin and clothes. Besides aerosol sprays DEET can also be found in different repellent liquid sprays and lotions that needs to be applied to the skin. 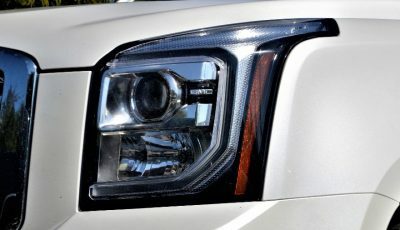 DEET is also used in wipes, towelettes, sticks and bracelets that are also used for mosquito repelling, but usually do not provide the same level of protection as sprays and lotions. DEET concentration in these products can vary largely from 10% up to 100% based on the type of the product. When using a lotion or spray on clothing do not over apply it or else the fabric is going to soak with the repellent liquid and may leave stains. 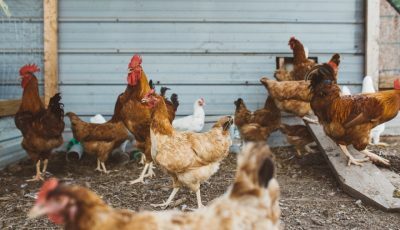 There are many studies made whether DEET causes safety concerns to health, but there are not yet any evidence that DEET can cause any health issues. However, some people are allergic to DEET, so you must be careful when applying DEET for the first time and need to look for any rushes or other changes with you health. US Environmental Protection Agency hasn’t found any concerns presented to health of both adults and children when DEET is being used as advised in their usage instructions. However, there are some general safety tips you needs to consider before applying DEET to your clothing and skin. Do not apply DEET to wounds, cuts and rashes. 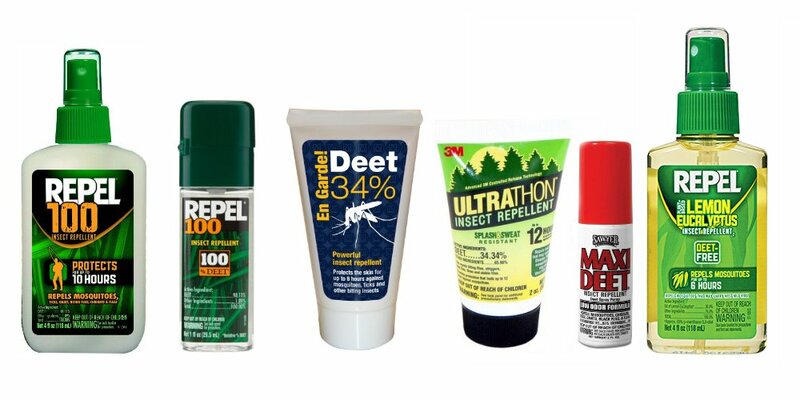 Make sure you do not have any open wounds, cuts or rushes on you skin before applying DEET. If you want to use DEET on face, first spray it on hands and than apply repellent liquid to face. Avoid inhaling it while spraying closer to face. Use DEET in a very thin layer and do not over-apply it. Make sure you read usage instructions of the repellent as each product has different usage recommendations and amount of repellent that needs to be applied to skin at one time. Also do not use DEET more frequent than recommended on the product label. Don’t apply DEET under clothing as fabric will absorb the repellent form your skin and it won’t be effective. Make sure there aren’t any food, open food trays or dishes close to the area you are applying DEET, especially when using aerosol sprays, as repellent particles can be blown in uncontrollable direction with a breeze of wind. Do not apply DEET to hands or near eyes and mouth of young children. Also do not allow children to play with an insect repellent aerosol and keep repellent away from reach of children. After going indoors wash your skin neatly with soap and water. Also wash clothing on which DEET was applied on and do not wear these clothes before they have been washed after using DEET.